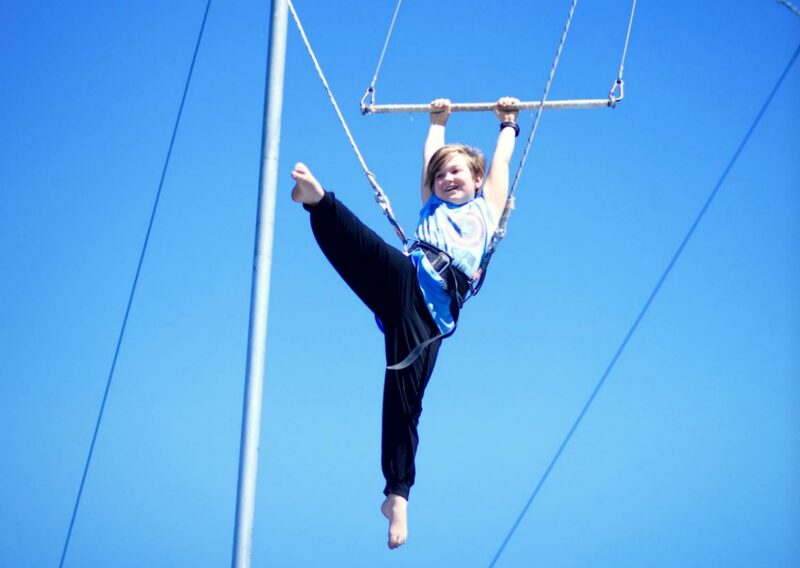 Fly the trapeze, learn circus and try your hand at mini golf all at the one location. Brisbane’s outdoor venue at Golf Central near DFO is the perfect holiday solution. Leave the kids with us while you catch up on some retail therapy just across the road! 2 hours of jam-packed circus fun including juggling, pyramids, low aerials, hula hoops, tight-wire and a swing on a high flying trapeze. This location is outdoors so classes will be affected by wet weather. In the case of rain, our local instructors will decide on the day whether the class will go ahead. We aim to give participants as much notice as possible on the day if classes need to be cancelled and rescheduled. This venue has free off-street parking and wheelchair access. Please note that Golf Central is a no BYO venue, however there is a cafe on site. Monday to Friday every QLD school holidays. Please click on the booking button for session dates and times. Ages 5-13 years. Groups of up to 16 participants. Min required number – 5. – Comfortable, close-fitting clothing, with pants or leggings that cover the knees. – Be sun smart – the trapeze is an OUTDOOR rig, therefore sunscreen is a must, as well as sunglasses and hat during waiting periods. – Shoes are required in the venue but will not be worn while participating in classes. – Please tie back long hair and wear minimal jewellery.